A pearly-white smile is beautiful to look at and can greatly improve self-confidence. Many people are opting for the GLO System!® Chairside Whitening System (GLO System®) for fast, safe and effective teeth whitening. GLO System!® combines the newest advances in dental technology with proven chemical formulas. This ensures that the bleaching experience is painless, and the results are satisfying. Having a beautiful smile may be even easier than you think. Many people achieve the look they’ve been dreaming of with our simple teeth whitening procedure. It’s safe, quick, and inexpensive. 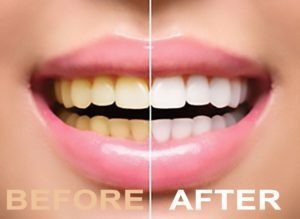 Just let us know at any appointment if you would like to begin teeth whitening. You can lighten only your upper teeth or both the upper and lower, depending on how much of each show when you talk and smile.At Arvada Dental Center, we offer two alternatives: LaserWhite*20 In-Office Whitening System and Venus White Pro Take-Home Whitening System. The main difference between the two systems is that you use the Venus White Pro Take-Home Whitening System in the convenience of your own home for a period of about two weeks. If your smile isn’t as white and bright as you would like it to be, ZOOM! may be the perfect solution for you. Learn more by calling 702-396-2929 today for a free consultation.